In My Religion, Leo Tolstoy accuses the church of hiding the true meaning of Jesus, which is to be found in the Sermon on the Mount and the call to resist evil. For Tolstoy, it is this command which has been most damaged by ecclesiastical interpretation. 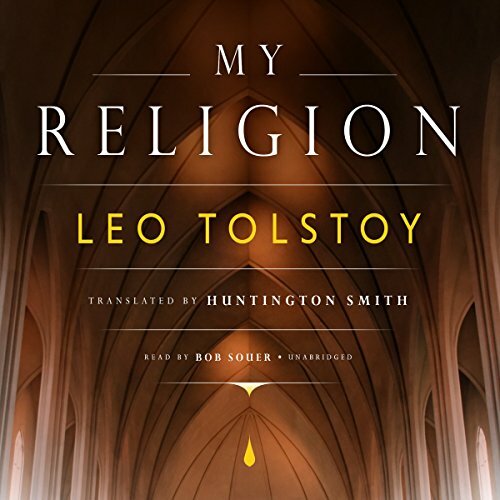 Tolstoy had not always been possessed of the religious ideas set forth in My Religion. For thirty-five years of his life he was, in the proper acceptation of the word, a nihilist-- not a revolutionary socialist, but a man who believed in nothing. But faith came to him; he believed in the doctrine of Jesus, and his life underwent a sudden transformation.